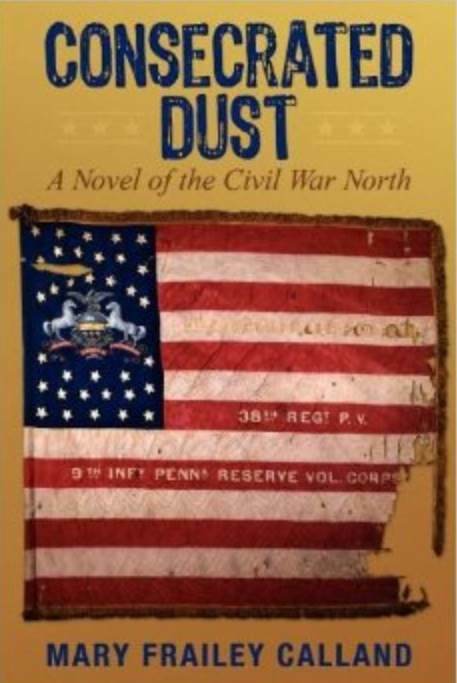 Wednesday, September 17, 7pm: On the 152nd anniversary of a famous Pittsburgh disaster, author Mary Frailey Calland with present the story of her novel, Consecrated Dust. On September 17, 1862, an explosion at the Allegheny Arsenal in Pittsburgh, Pennsylvania, kills seventy-eight girls rolling bullet cartridges for the Union army. News of the catastrophe is buried, however, beneath the horrendous casualty reports from the Battle of Antietam, fought on the very same day. 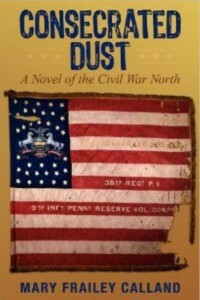 Inspired by these two real-life tragedies, Consecrated Dust tells the story of four young northerners – feminist, Clara Ambrose; soldier, Garrett Cameron; industrialist, Edgar Gliddon; and immigrant, Annie Burke – friends, lovers, and bitter rivals. In the teeming streets and factories of Pittsburgh, and on the battlefields of the Army of the Potomac, they struggle to survive, forced to choose between love and duty, sacrifice and greed. Their choices ultimately lead to their presence at both the Arsenal and the Antietam battlefield on that fateful September day, a day that reveals the true meaning of courage – a day not all of them will survive. The lecture is at Mt. Lebanon Public Library and is free. Refreshments will be served. Click here for more information.